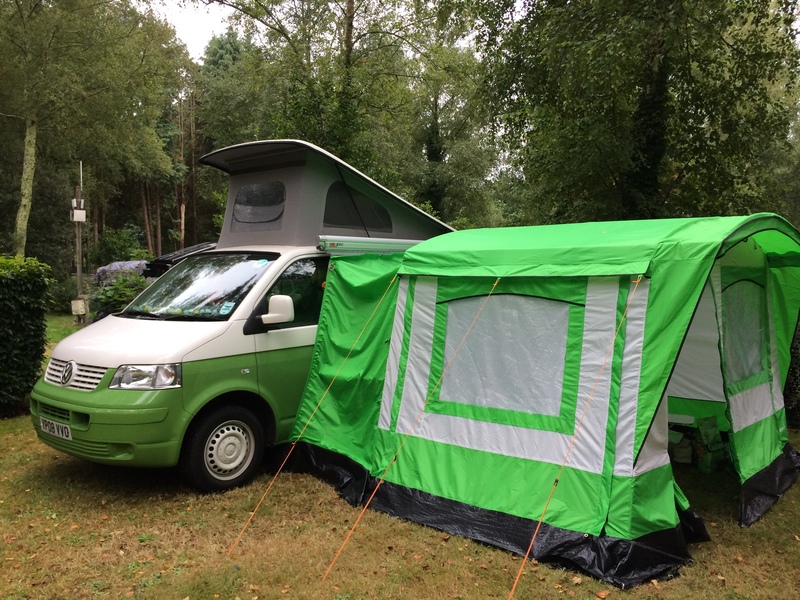 This magnificent erection is Rosie’s drive-away awning (on a lovely campsite in the grounds of Chateau Lanniron in Quimper). It’s a fantastically useful bit of kit which allows me and Ted to disgorge the contents of the camper van and leave them, all zipped-up and safe and sound, while we drive off on adventures during the day. However, it’s a bit crap technically because it needs over 30 tent pegs to stop it blowing away. This contrasts dramatically with the old Terra Nova Quasar two-person tent that Chris and I used for our many camping trips. That was a classic, designed to support life in a blizzard on Everest and requiring a mere 12 tent pegs to do so. I suspect Chris would think the awning was a bit de trop but I make no apologies: it does the job. Putting it up takes a while and those 30+ tent pegs require liberal use of a good mallet. Chris and I always took a 2lb club hammer with us, which could drive a nail into concrete. For reasons that escaped me then and still elude me now, she called said instrument a collybonker. It was undoubtedly useful but (as ultra lightweight campers limited by the infinitesimal carrying capacity of the Morgan) we were concerned about both its bulk and its weight. Our great – sadly unfulfilled dream – was to make our fortune by the invention of an inflatable collybonker. Now I’ve given the idea away. I suppose someone else will cash in. “Collybonker” was a frequently used word years ago. It stood for “anything bashable with an instrument”!